Turnover target for 2014 achieved two years early. 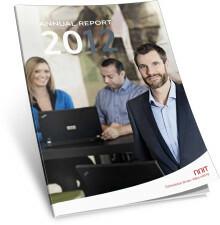 2012 brought continued progress for NNIT. Turnover increased by 13 % to just under DKK 2 billion, which was, in fact, the target for 2014. The pre-tax result for primary operations was DKK 217 million – a 12 % increase on the previous year.